Wiring harness pin thingies in headlight? 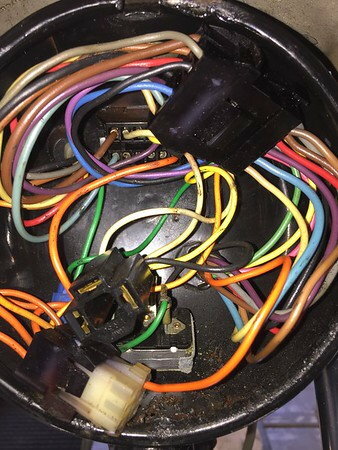 Hi All: I just received a new wiring harness for a '76 SuperGlide FXE (Shovelhead) since the old one has been hacked and re-spliced so many times it's hard to tell what goes where. My question involves the headlight housing where everything comes together. Each wire terminates in a pin that is plugged in to a plastic connector or bracket. Now I could cut each wire and splice in the new wire to the appropriate colored wire in the connector/bracket BUT that seems like just moving all the existing splices in to the headlight area and would involve a lot of wires and splices. Ideally I'd like to put new pins on wire ends and do it properly. 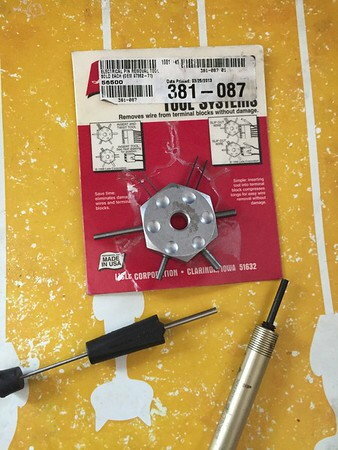 Can anyone tell me if they agree if this is the right way to do this and where could I get the necessary pins and connectors AND the right tool to crimp them? Some online research shows an overwhelming number of pin/connector variations and all sorts of crimpers. Long story short, I guess I'm wondering if there is another way to approach this. Any info would be greatly appreciated. just pull the old wires and splice new female spade terminals on the new wires. make a diagram of the colors/locations, then just yank them out with needle nose pliers. I'm in the same boat with ya! I'm planning on using proper connectors when it goes back together. I'm an electrician by trade and usually use 3M connectors, that's what i was planning on. If we could get some of the more knowledgeable guys here to chime in for us and let us know the 'does and don'ts' that would be great. go to the junction block, pull one wire straight out, look at the spade connector, get new spade connectors to match, splice to end of new wires, insert in proper location. DONE. Bulldog, I would suggest the idea that if you start pulling on pin connectors with needle nose pliers you will not be in a very happy place at the end. I am always amazed at how HD could get so many wires inside such a very small space. That said, the wires are a combination of spade type and pin type wires, the majority of which are junction blocks uising pin connectors (male and female). 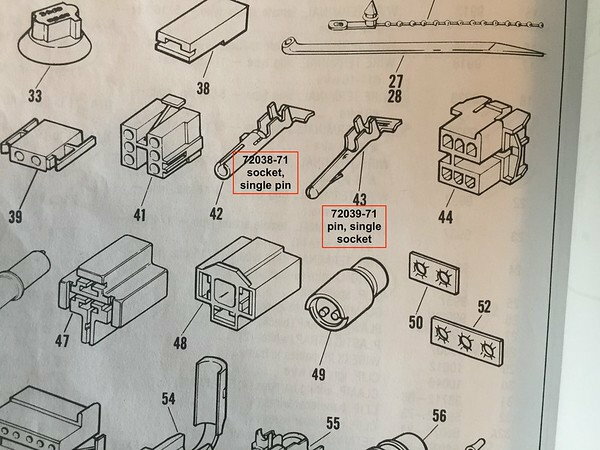 If you look at the parts diagram above (taken from the parts manual), you will notice that the male single pin connector has a barb near the end of it. This basically locks it in place. You start yanking on it and you will only strectch the wire and end up with a broken end wire. I would encourage you to get the proper tool to remove the connector, something along one of these. Then with the male end all you do is push in on the wire insert the tool, lock it around the end and pull the wire out. Can't recall where I got the different tools; been many years. However if you have a Frys Electronics store (we have one that serves the Santa Clara Valley) you will find the tools there. And I suppose that in the modern age you can find them on places like Amazon as well. 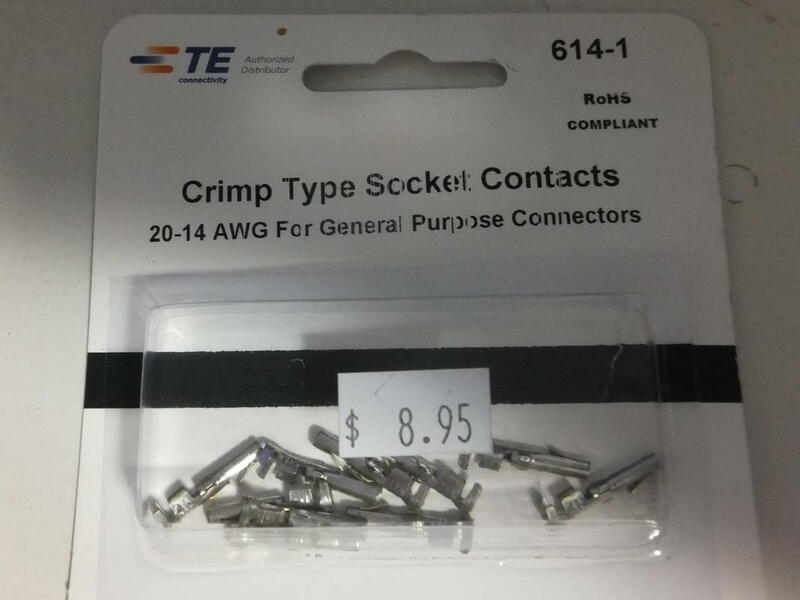 And re: you single pin connectors, when I needed a couple for my 78 FXE, I found them on ebay. Surprised tho that your wiring harness did not come with them. Redid a buddy's 76 FLH that needed a new wiring harness, and his came with the proper color-coded wires as well as all the connectors. 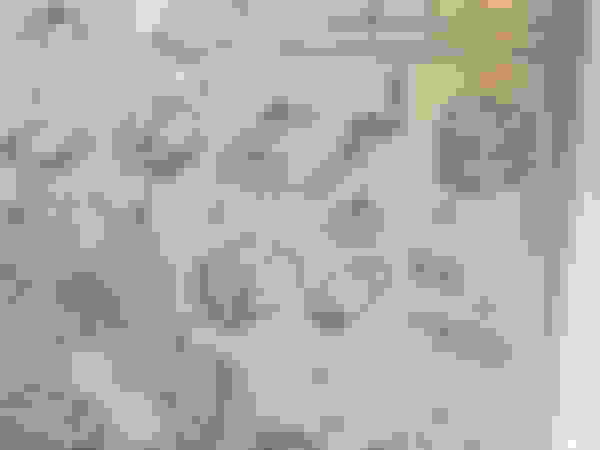 Lastly, if the inside of the headlight harness is a mess, I would recommend getting the correct wiring diagram for your bike (year/model), taking it to a print shop, blowing it to a very large size, using color pencils to draw over and closely replicate the color codes in the diagram, and post it on your wall. Makes for a much easier reference as you go through the process. 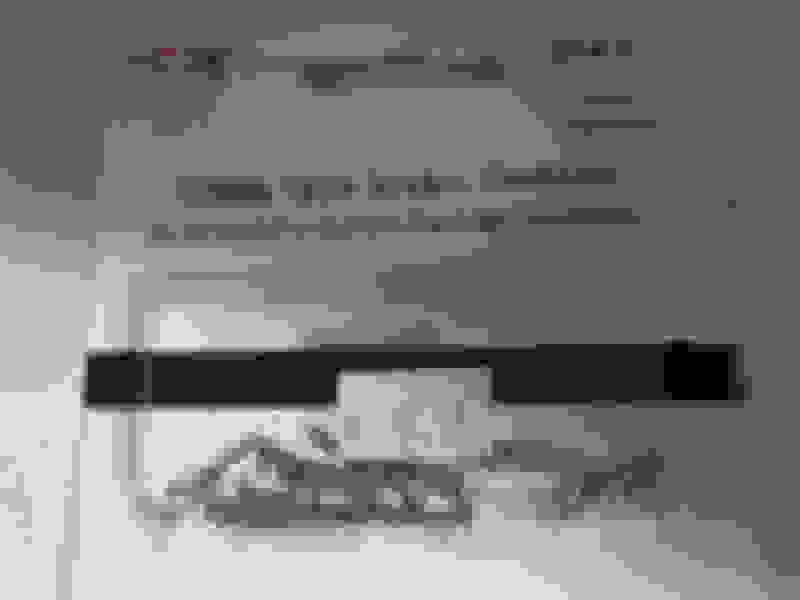 Last edited by panz4ever; 02-12-2019 at 01:18 PM. I just push a small wire in to release pin. Do it gentle. Does not take much. Here is the socket you need, I forgot to write down the part number for the pin. My understanding of his question was about the junction block inside the headlight housing. That junction block on my FLH, and the same type on the rear fender of my FXWG, are simple spade terminals. I wasn't referring to other connections, because it didn't seem to be what he was asking about. Pic in my post is the inside of a 78 FXE. Had a 75 FXE w the same type connectors and completely redid a 79 FXE with the same set up. Its a tightly arranged mess. Last edited by panz4ever; 02-12-2019 at 02:07 PM. Those older connector are a PITA to get apart, the newer ones from the MoCo are a little easier to deal with, that said Panz gave you all the correct info. You want to pull the pins out and e-use the existing plastic connectors with your new wires and new pins. Splices before the connector are for amateurs, do it right or the next guy will curse you. Good luck.